At the Groups Travel Hub, we aim to make booking British Airways group flights a quick and easy process. 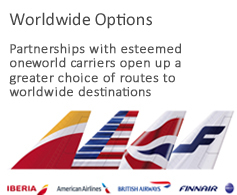 Our trade partners will have access to an unrivalled service and route network along with a choice of booking options, plus the reassurance that they will receive the best service available through our specialist call centre. Setting up a groups account couldn't be easier. If you have an IATA licence, simply submit your company details via our online registration form. For non-IATA agents, simply fill out the following quote request form .